French foie gras makers, still recovering from two severe bird flu crises that ravaged flocks, said on Thursday they would be able to face any new outbreak thanks to strict security measures but prices will remain high to make up for increased costs. France, which has one of the largest poultry flocks in the European Union, is one of the countries that was most affected by the H5N8 bird flu virus that spread through wild birds across the continent last year. Producers had to cull more than four million birds after the virus spread throughout the southwest of the country, prompting France to halt output in the region and implement a series of protection measures to avoid a new crisis. "The sector seems far more robust now. 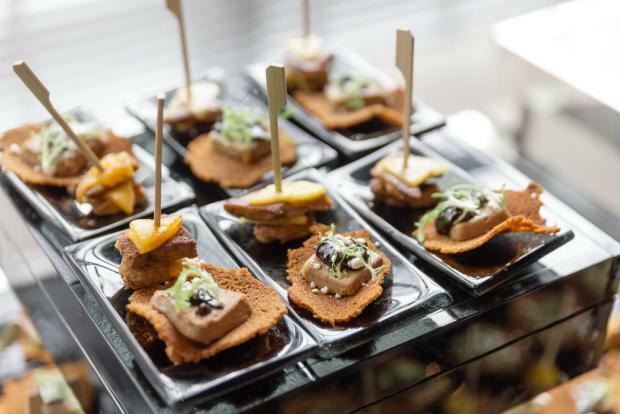 Of course some cases may break out at any time but by no means we will be in the same situation, we'll be able to deal with it very quickly," Marie-Pierre Pe, director of French foie gras makers group CIFOG, told reporters. Bird flu outbreaks generally arise in the autumn in the European Union, carried by migrating wild birds coming from the East. Many farmers had to build extra premises to confine ducks when they are most at risk of contracting the virus and invest in new equipment such as cleaning tools. The industry passed these costs on to customers in prices. Although output fell 20% in volume last year, sales rose by 2.8% in value in the "festive season" ranging from mid-November to mid-February, due mainly to the higher costs, Pe said. CIFOG, which also represents duck meat producers, expects 2018 output to come back to volumes close to those produced before the 2016 bird flu crisis. "Biosecurity measures that were put in place have borne fruit," she said. Bird flu also hurt sales abroad of foie gras in the past two years, as major importers such as Japan shut their borders. Most countries, apart from Taiwan, have since reopened their markets but a return to normal will take time, Pe said. Foie gras is made from the livers of geese or ducks that have been fattened with grain, usually by force feeding. Sold whole or as a pate, it is considered a gourmet food in both Western and Asian cuisine. The practice of force-feeding has often been criticised as cruel by animal rights activists.